This Burmese youngster was wandering about the cafe where I stopped in for a cane juice. 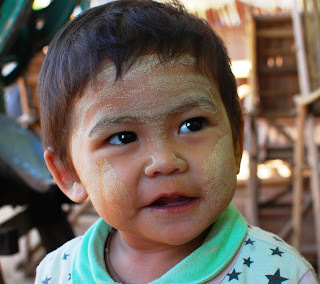 The yellow sunscreen on his face and ears is thanaka, a paste made from tree bark. I relied on high-SPF commercial sunscreen instead, as thanaka is typically worn only by women and children.